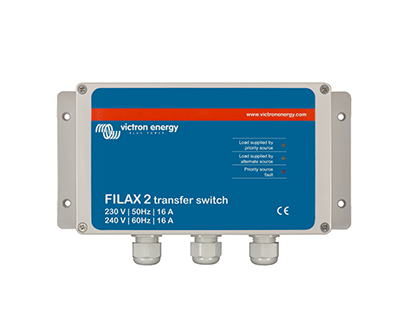 When two or more power sources are available such as battery power and mains power then transfer switches are the ideal candidate for transferring between both. When the batteries have been discharged, the transfer switch switches from battery to mains in a fraction of a second. The transfer happens so fast that no noticeable effects are observed and better than that, your appliances will continue to be powered uninterrupted. The reverse will also happen when the batteries have been recharged and are ready to be reconnected to the system. The transfer switches are available in 3.6KVA, 5KVA and 10KVA ratings. Selecting the correct size transfer switch is dependent on the loads that the switch will be subjected too, so speak with a qualified electrician or contact us to help choose the appropriate size.